The profession of buildings operations is being asked to do more than ever before. It used to focus on achieving efficiencies, ensuring everything worked properly and quickly troubleshooting problems as they emerge. In today’s world that is not enough. 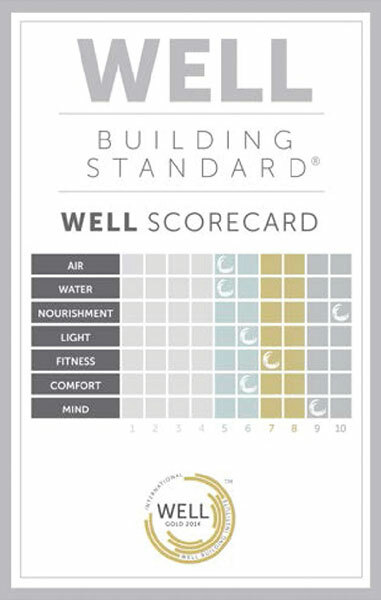 According to a study conducted by CBRE in 20181, based on an analysis of over 100 companies operating in a wide variety of sectors, “The wellness agenda has evolved into a core pillar of corporate real estate (CRE) strategy.” For example, 92% of companies surveyed show a preference for wellness capable buildings, and 56% see user experience and productivity as key reasons for future technological investment. If an increasing number of companies are now banking on their employees’ health, well-being and happiness, it is because they have in fact understood that these factors are synonymous with motivation, commitment and performance. Boosting employee loyalty and maximizing productivity are the anticipated objectives of a strategy aimed at creating working environments optimized for the experience of their occupants. 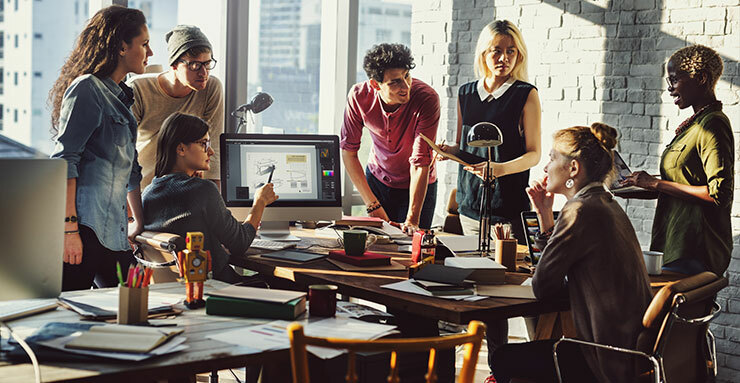 This has also become a crucial issue in attracting talent from a new generation of workers whose expectations are higher than ever in terms of sharing values, meaningfulness, collaboration, flexibility and well-being at work. The consequences: The development of programs for well-being and personal development, an increase in services for occupants (geo-location and booking meeting rooms, sports halls, concierge services, recreation rooms etc. ), creation of new positions such as “Chief Happiness Officer” or “Hospitality Manager”. 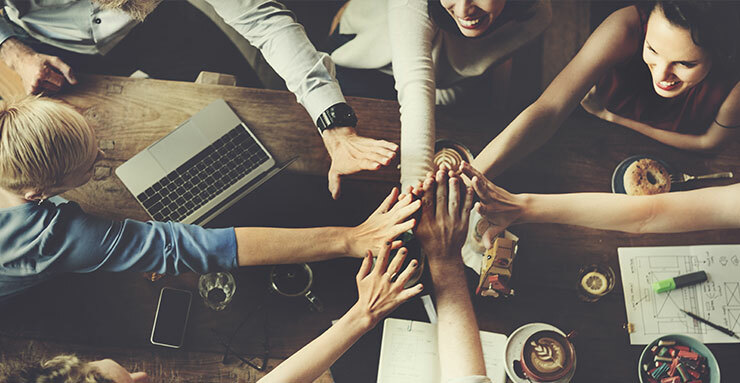 Facility managers are also seeing their role take on an increasingly human aspect and there is increasingly close collaboration with teams in charge of Human Resources (HR) and Real Estate departments. 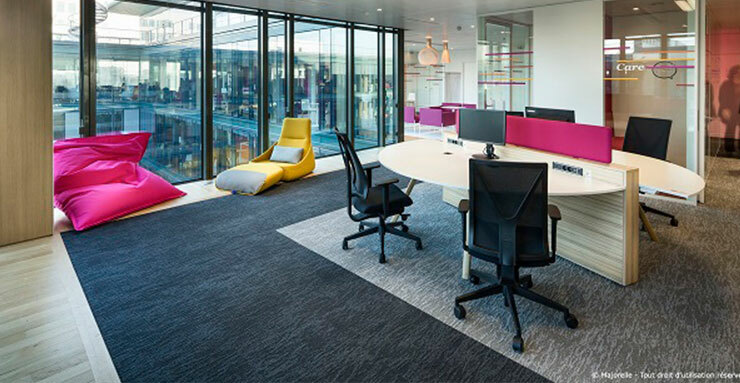 Alongside the new services for occupants and HR policies that may be put in place, the quality of the building and physical environment also play a key role. Indeed, their role in improving occupants’ comfort and health is now widely documented and recognized. 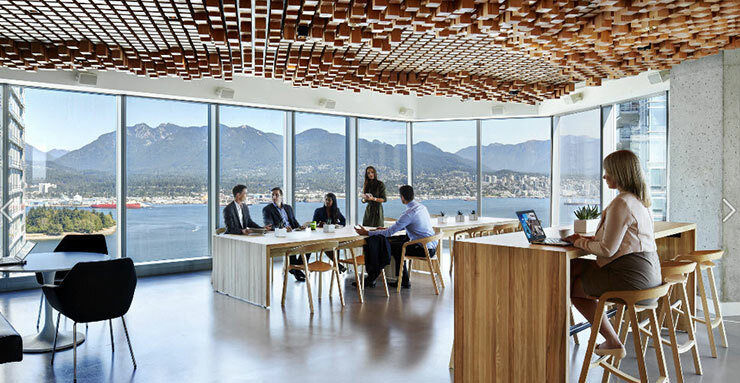 The influx of natural light and connections to the outdoors, as a comfortable temperature, acoustics and air quality, are among the key parameters for well-being, for employee satisfaction and performance. It is therefore crucial to integrate them into workplace optimization strategies. The option of having a degree of control over your environment, such as over lighting or temperature levels, is also crucial to the user’s general feeling of comfort. 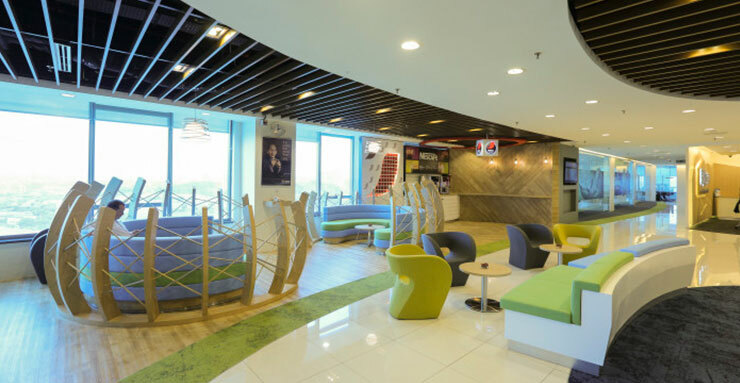 In terms of layout, many companies are now opting for rooms where different types of space co-exist: open spaces, small booths for solo working, brainstorming spaces, relaxation and coffee corners, etc. The aim is to respond to a variety of needs, tasks ("Activity Based Working") and personalities2, and by the same token, colleagues’ growing desire for choice, flexibility and control. The latter group are also becoming increasingly involved in renovation or reorganization of their workspaces, through surveys, interviews, participatory workshops etc., thus facilitating acceptance of the new project. One point I believe it’s crucial to highlight at this juncture is the fundamental role of the digital revolution and new technologies as the internet of Things and artificial intelligence in the transformation of our buildings for greater service to the user and their well-being. We then speak of intelligent or “smart” buildings, which we have already mentioned and will return to further in future posts. According to a study conducted by Leesman3 on over 250,000 employees working in over 2,000 offices, only 57% report that their working environment allows them to work in a productive way. This means nearly half of all workers think their workplaces are an impediment to their productivity! This is proof that we have a real problem to solve. New types of certification have emerged to address this problem. They encourage clients, designers and owners to consider the user more deeply when building or renovating offices, and which complement existing environmental building certifications, such as LEED, BREEAM or HQE. First of all, there is the WELL certification , created in the U.S. in 2013, which has since spread rapidly around the globe. Drawing on a wide array of scientific research in the fields of medicine and health, this standard offers recommendations for designing buildings which are healthy and comfortable for their occupants. It focuses on seven main factors: air, water, light, physical activity, comfort, food and psychological well-being. In particular, for the first time in this type of label, it introduces requirements associated with regulation of our biological clock and biophilia, thus promoting the influx of natural light and views of the outdoors. Today, there are over 780 WELL-certified projects worldwide. Last year saw the emergence of the Osmoz5 label in France, dedicated to quality of life in the workplace. This is based on three levers for action: the quality of the built material, the layout of interior and outdoor spaces, and, finally, human resources policies and activities. It is possible to act on one or more of these levers. The label hinges on six social issues, including environmental health and lifestyle, in which natural light and interaction with nature are also enhanced. As of now, seven pilot projects have been labeled with Osmoz in France, and we can expect this number to rise in the years to come. Beyond these labels, the overhaul of the European Energy Performance of Buildings Directive (EPBD) highlights for the first time the importance of creating a healthy, comfortable environment inside buildings. This is even greater encouragement for integrating health and well-being into future local building regulations. What’s the return on investment for improving quality of life at work? Although the benefits of a strategy for quality of life at work are recognized, perceived costs may limit companies’ uptake of well-being strategies. While the costs are known, the benefits of well-being, comfort and health can be considered intangible and therefore hard to integrated into payback calculations. 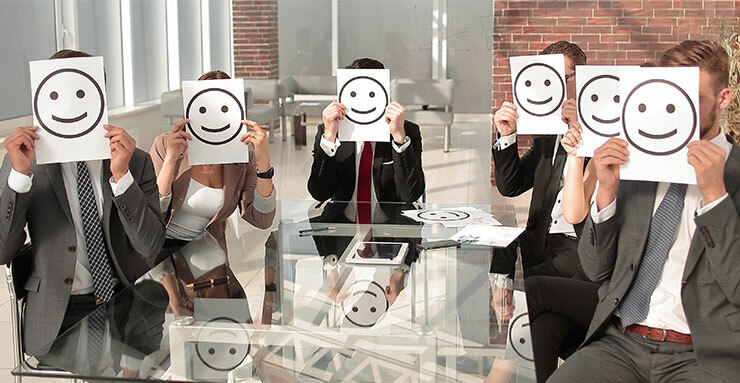 However, emphasizing employee experience is certainly an investment that’s worth the effort. According to the “3-30-300” rule6 set out by the JLL group, an organization's costs are split accordingly: three euros for equipment, 30 euros for rent, and 300 euros for payroll (salaries, benefits, etc.). 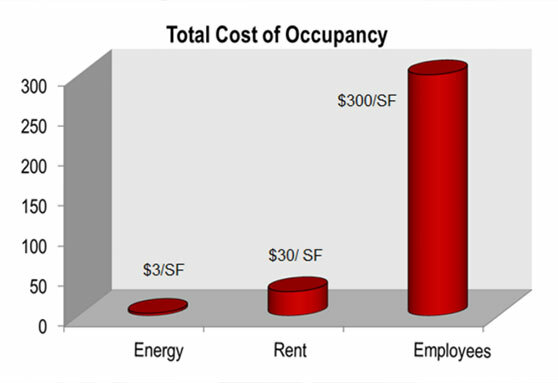 Accordingly, investing in employee well-being and performance is much more cost-effective than an investment aimed at improving the energy efficiency of equipment, or even a reduction in rent. Notably, studies regularly conducted by CBRE indicate returns on investment within two years7. Furthermore, action to improve quality of life at work will have a beneficial impact on the company's brand image, both internally and externally, enabling potential reductions of up to 28% and 50% in employee turnover and recruitment costs respectively8, as well as attracting talent, customers and visitors alike. Ultimately, as we saw in a previous article, the workplace can be a source of stress and serious mental health issues, thus causing a decrease in productivity and an increase in absenteeism, ultimately resulting in colossal extra costs for companies. Ultimately, if we consider all the gains associated with a boost in productivity, increased retention and appeal, and reduced absenteeism, banking on highly effective buildings for occupants should constitute a considerable source of profit, of around USD 2.78 million or USD 3,395 per employee annually according to a recent analysis by Stok9. 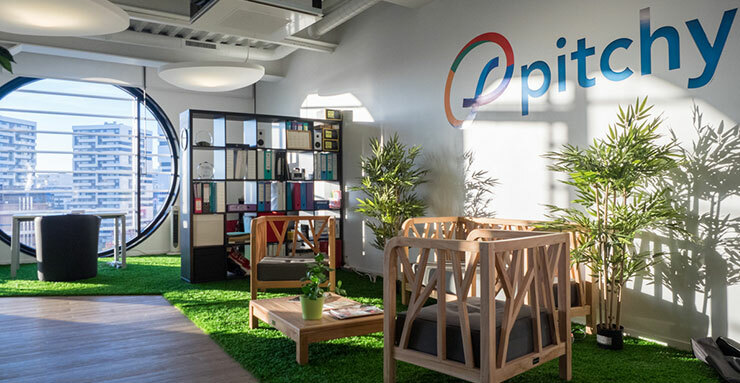 Today, it’s no longer just the tech giants of Silicon Valley who are investing in comfortable workplaces that facilitate the well-being and performance of their colleagues. 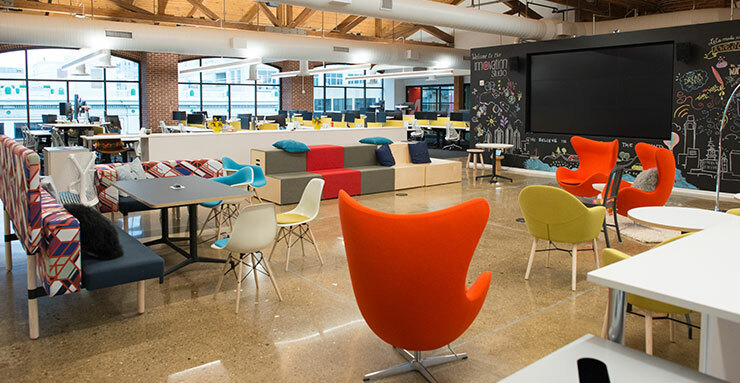 From start-ups and mid-sized enterprises to major corporations, there are many companies which have already begun transforming workspace accordingly. So if you haven't taken that step already, what are you waiting for? Eloïse Sok-Paupardin is Concept Creator in the SageGlass Europe & Middle-East Team. She holds a Double-Degree in the Engineering field from Ecole Centrale (France) and Tsinghua University (China). Her main interests include sustainable architecture, daylighting and occupant’s comfort. Her motto: “Passion is our best strength!”.